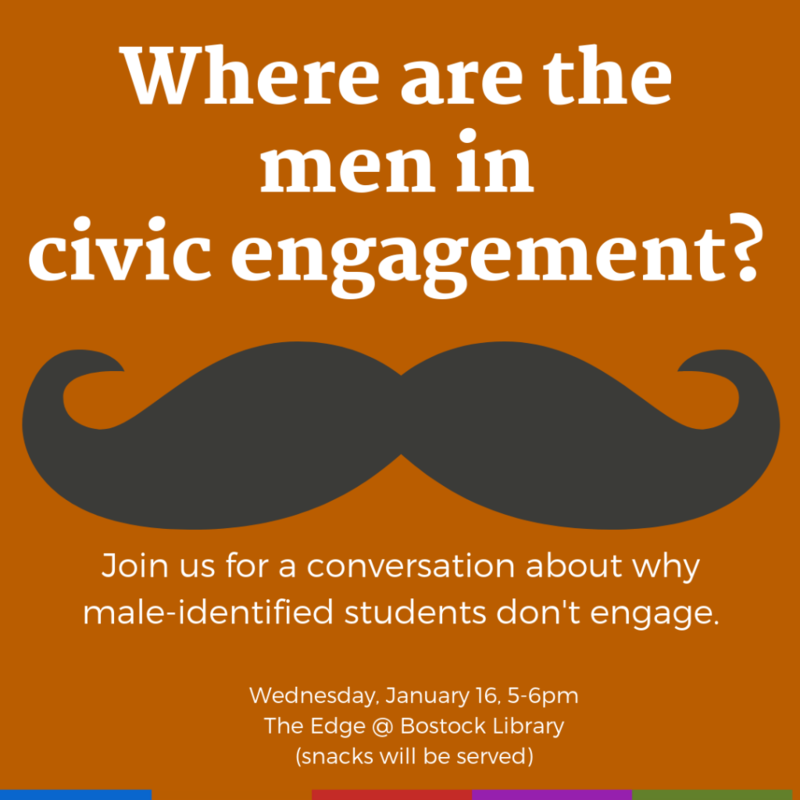 For several months, DukeEngage staff members have been part of a University working group trying to answer a question that has been asked in higher education for many years: Where are the men in civic engagement? DukeEngage programs, like the majority of service- and volunteer-related programs across the country, skew heavily towards female-identified participants. On January 16, 2019, our team was part of a conversation that explored topics such as the meaning of civic engagement, why alums chose to become involved, and how we can reach more students who are not currently engaged. The event was open to all students and faculty, not just those who identify as male. Approximately 50 people attended the event.